I just designed these new business card to match the upcoming website redesign. When they came in the mail, I was really nervous, but they look great! I am so pleased! 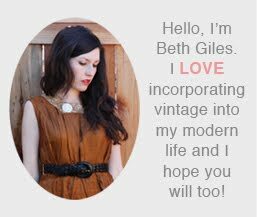 I like them, too, Beth. Nice design. I love them!! They definitely capture the vintage spirit of your shop!